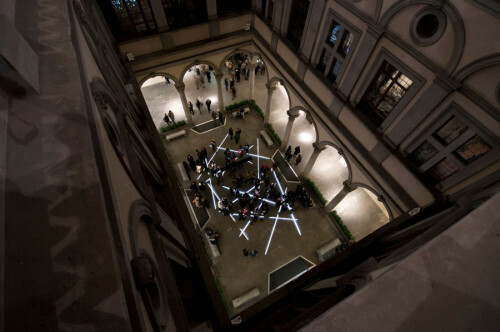 As part of the Palazzo Strozzi Contemporaneo series curated by Elena Magini, Bianco-Valente proposed their Tu sei qui [You are here] site-specific environmental installation with the goal of recovering the territories of the aura and offering spectators a show that is unique, exclusive and unrepeatable. 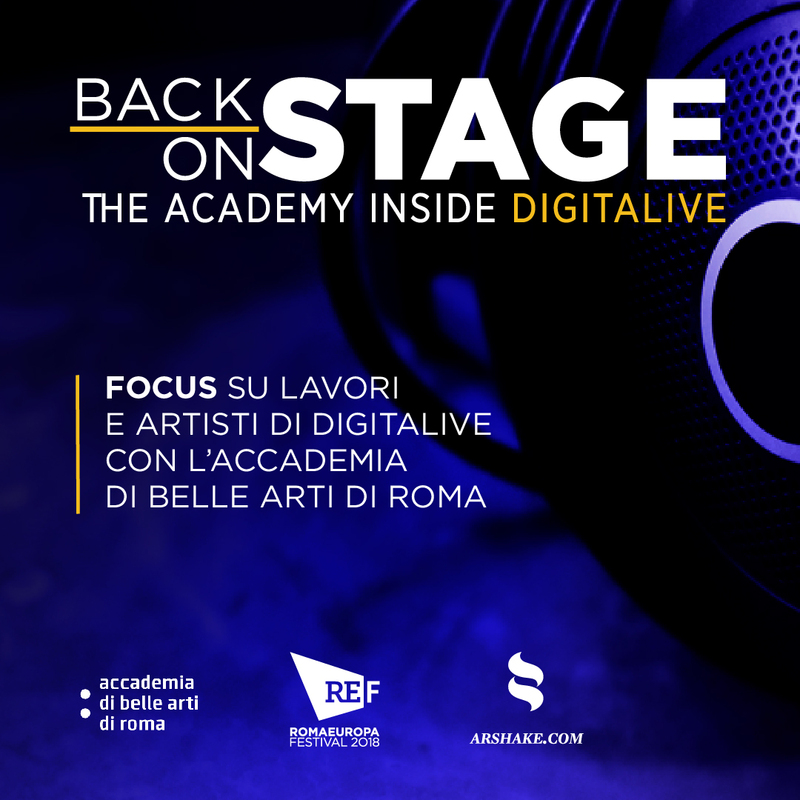 Bianco-Valente have been using everyday life to inspire their work for a couple of decades now. 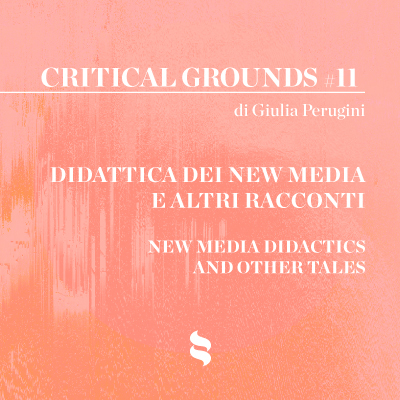 The result is art that is increasingly open to dialogue and to the confluence of stories which evolve from the singular to the ensemble, the plural and polyphonic. Think of Relational Domain (2005) and the theory of the small worlds held in the luminous hands of Relational (2007) or the many variations of Costellazione di me [Constellation of me, 2010- ], Attraverso le parole [Through the worlds, 2011] or the more recent aesthetic processes of an extra-pedagogical nature such as Come il vento [Like the wind, 2013] and Campo visivo [Field of vision, 2014]. Then there are the works at Basilicata (Latronico) with the Vincenzo De Luca Association. These are just a few examples of a pure sentiment that caresses reality seen in their art work, savouring a kind of poetic expression that feeds upon communitas. Such a contemplative path (one that is also affectionate, loving, attentive and protective) includes Tu sei qui. Passaggi, Transiti, Deviazioni [You are here. 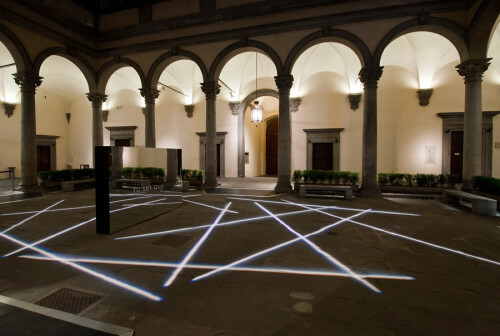 Passages, Transits, Detours] – a new and exciting collective and connective journey that revitalizes the courtyard of Palazzo Strozzi with a two-faced reflecting parallelepiped (you can read the words TU SEI QUI on it) and a luminous histogram designed by a series of lights projected onto the ground in an inspired and fitting metaphor of possible personal trails, trajectories, imprints, grooves and blueprints that lead to a particular place. Tu sei qui speaks directly to the public. A presence that was sought out, requested and desired by the artist since it was necessary for the creation of a narrative that cancels the solitary journey of life to give rise to an aesthetic programme which is increasingly refined and filled with exchanges: lyrical and delicate, luminous and lightweight. 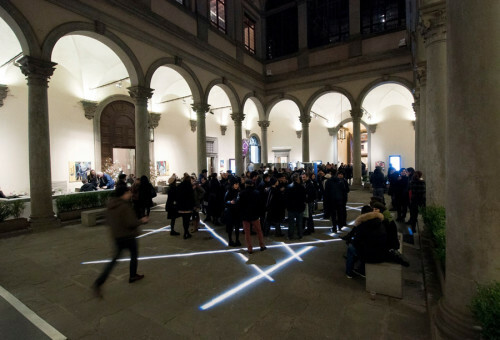 Spectators are invited to feed upon a real experience and live the event first hand as they use art to help them make their way back to the uniqueness of their own daily schedules. It is also an occasion to truly stand in a specific corner of the world and experience the uniqueness of this work – to participate in an event (single or group) to take a good look at yourself in the mirror and recognize yourself on the reflecting surface of a work that encourages viewers to rattle off the lightness of being and slowly «shift consideration towards the complex nature of reality» (Magini), recovering the seed of such a singular nature and redeem the long wave of the here and now. The loss of the aura perceived by Valery and Benjamin characterizing much of 20th century art is countered here by this Bianco-Valente work which urges us with intellectual maturity and pure nostalgia to find a way back to our own bodies, our own experiences and rhythms – to our own merciless yet wonderful and inevitable physical nature.